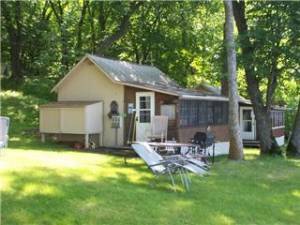 Tranquil cabin on chain of lakes with restaraunts on Lake Augusta!! Swapper's Meet (flea market) about 1/2 mile away (Antiques/Veggies) Buy? Sell? Beside a spring fed burbling brook!! No jet skis to interrupt the tranquil experience. 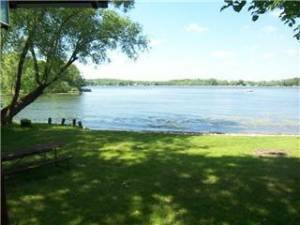 2 restaraunts on lake within boating distance. December 14, 2013 Reviewer: jim fischer From: mn. 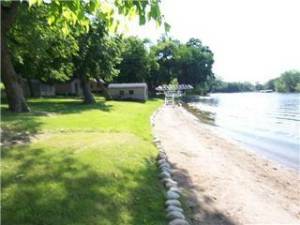 quiet and peacefull resort, no out of control people to deal with, a good place to come and get away and relax, very fair rates for the summer, call around first then call dorothy, this will be our 3rd year at the cabin. Deposit: $250 deposit required at booking to hold date. $350 damage deposit required with final payment 2 weeks prior to arrival. Cancellations and Refunds: refunds will be gived within 1 month notice.